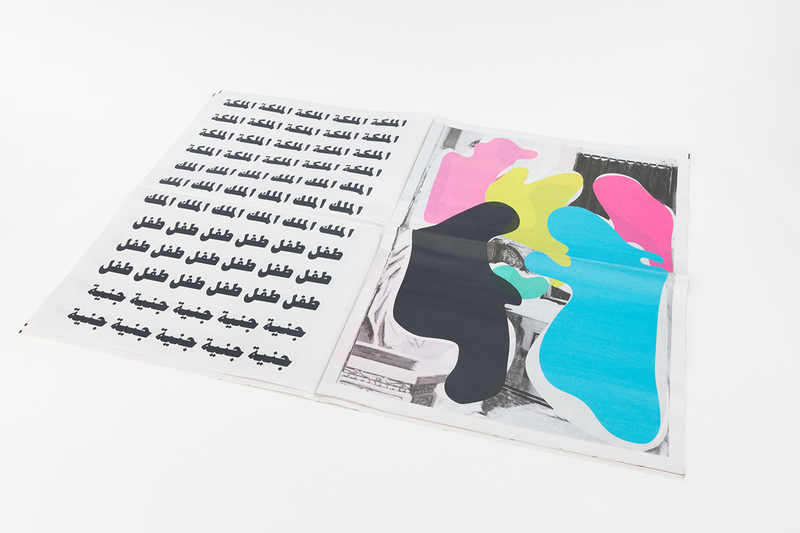 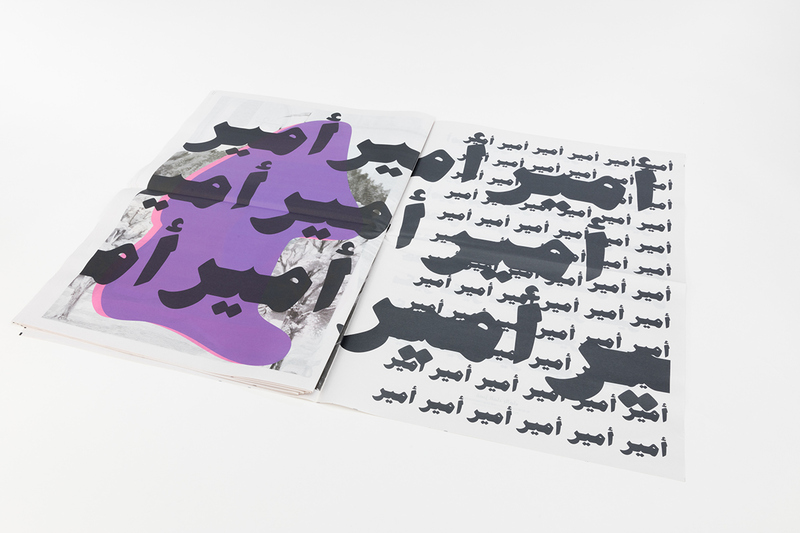 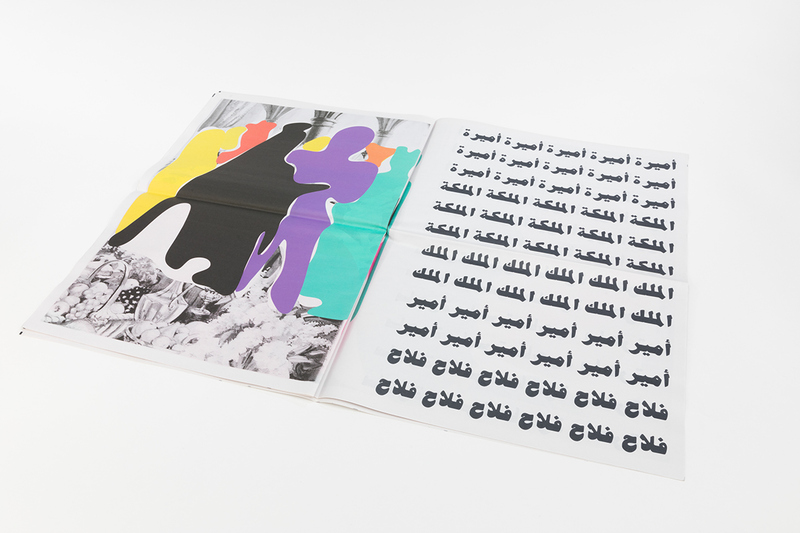 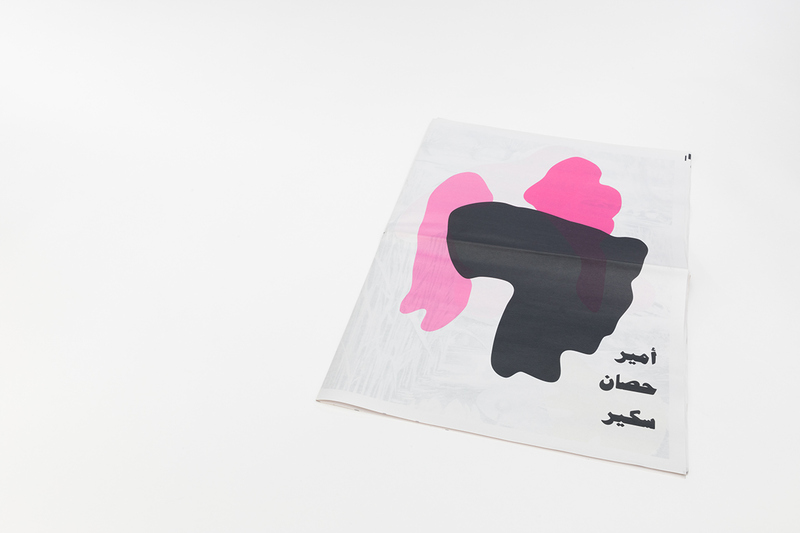 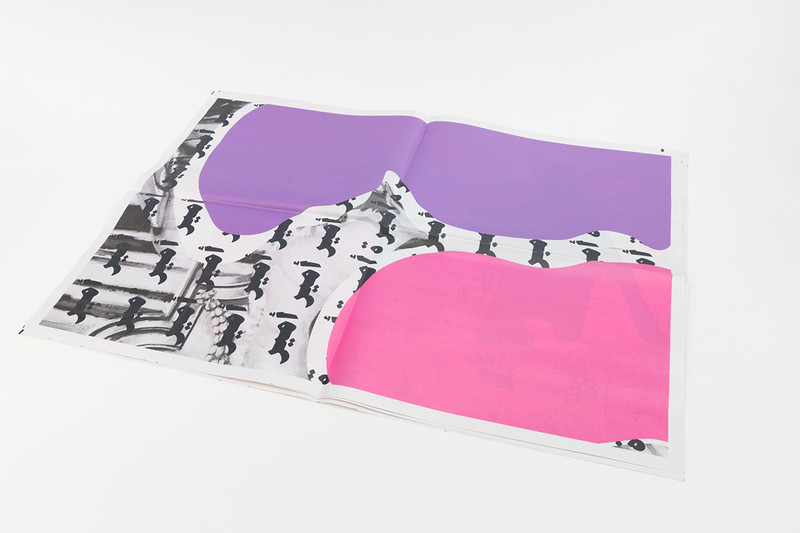 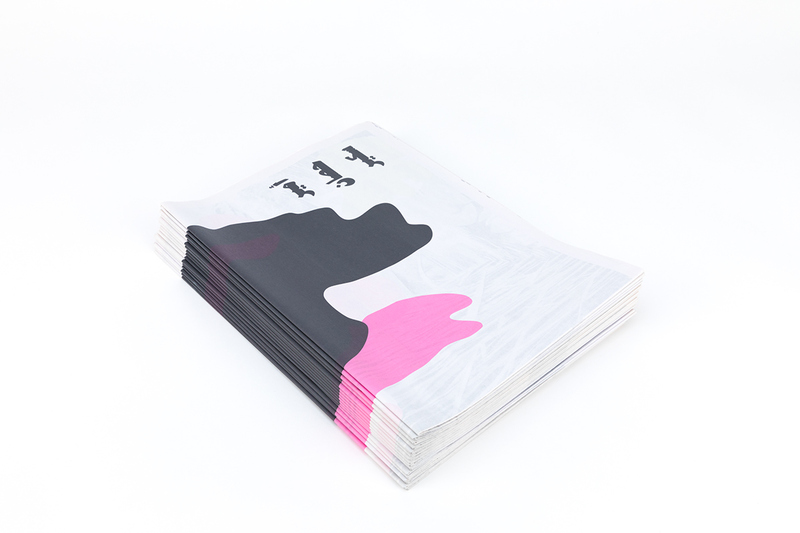 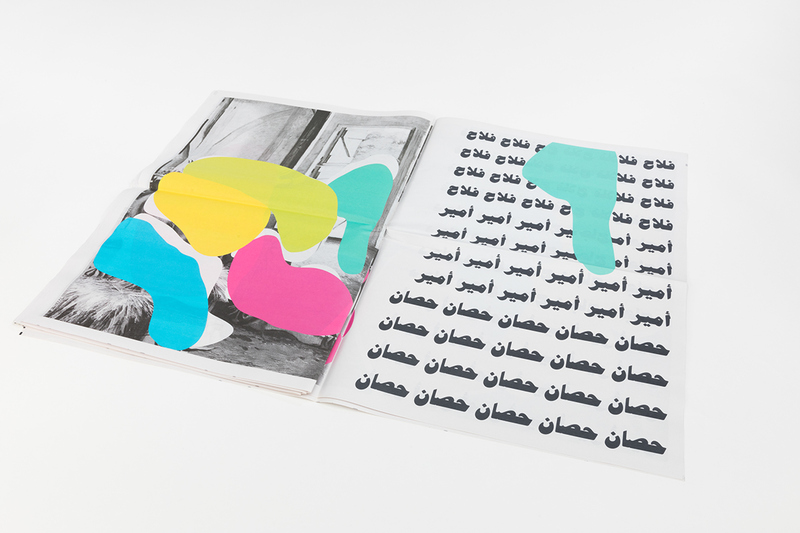 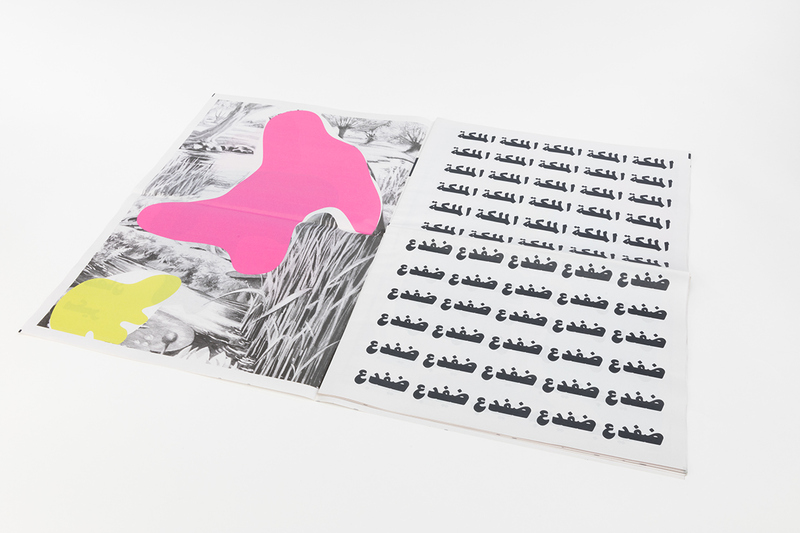 CMYK Broadsheet Newsprint, 24 Pages Printed in the UK Edition of 200 2017 Our full-color broadsheet is a remake of a vintage version of Sleeping Beauty that was translated to Arabic. 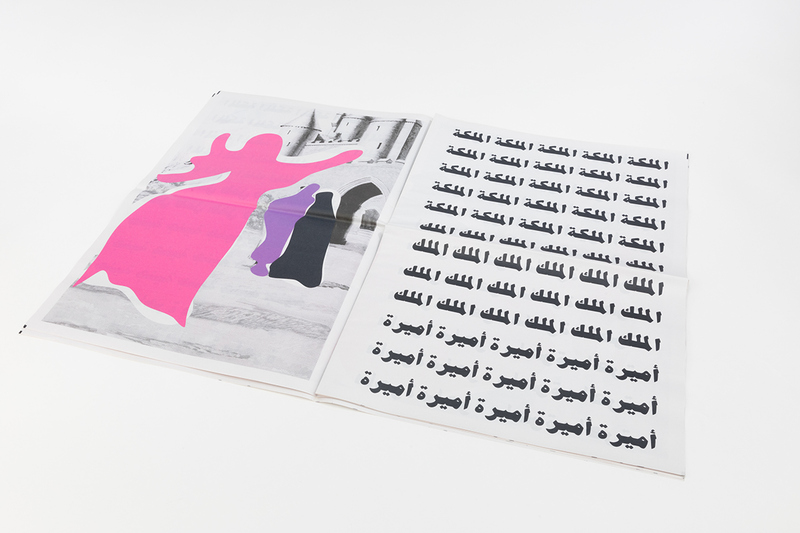 Near and dear to the younger generations hearts, we modified the original illustrations to consider the prohibition of the visual depiction of living things in the regional interpretation of Islam. 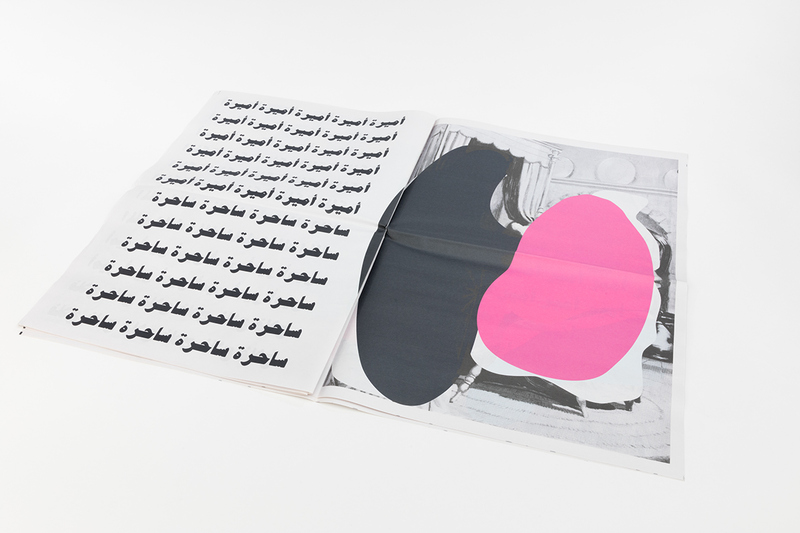 This publication is a celebration of cultural interactions, humorous and critical, both of the importation of foreign value systems and the obscuring of identity. 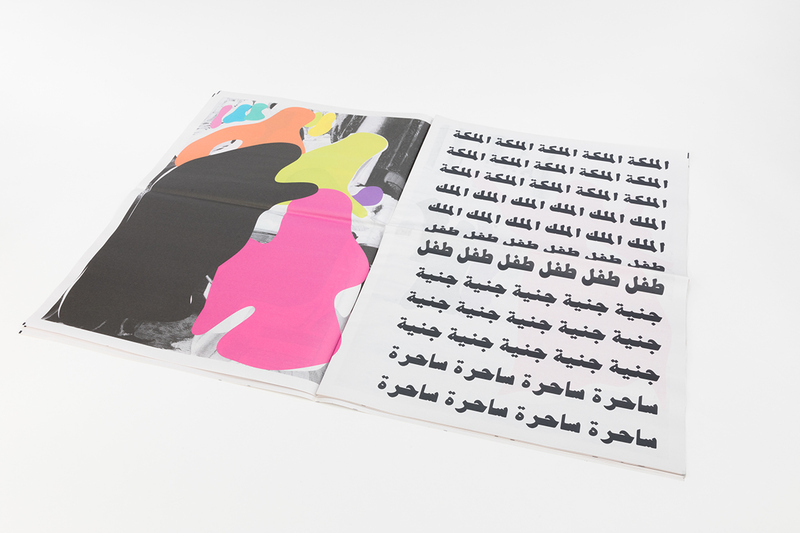 The names of the characters in each scene are listed in Arabic on the facing pages of the spreads.